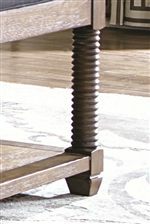 This dining side chair brings subtle detail in a beautiful way. Its double X-back offers sophisticated style and great support for your back. The upholstered seat keeps you comfortable so you can enjoy a nice, long meal. 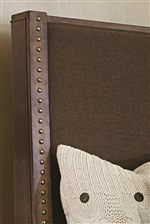 The wooden back and legs are a perfect accent to the upholstery. 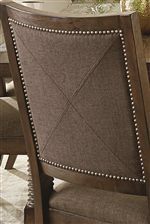 This is a great side chair that will keep you and your guests comfortable for years to come. 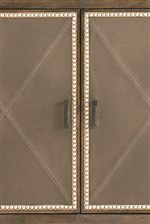 The Compass Dining Side Chair with X-Back and Upholstered Seat by Bassett at AHFA in the area. Product availability may vary. Contact us for the most current availability on this product.